The cute little bunny holds on to one edge of the blankie, but is happy to share it with your baby. 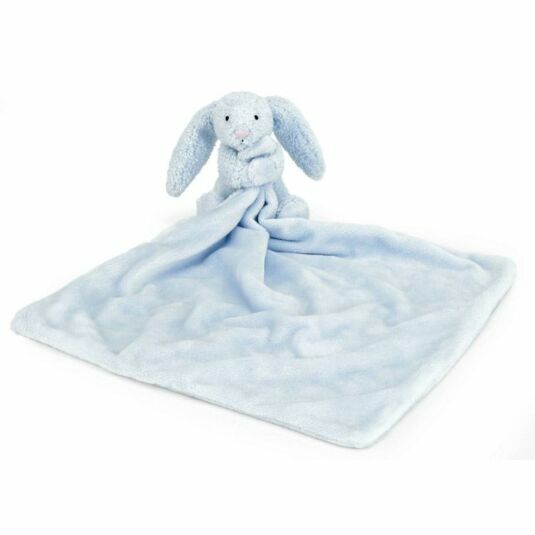 This Bashful Bunny Blankie is made from luxurious super-soft fabric and will provide soothing comfort your little one. Perfect for a newborn baby or christening gift.